Adorable pics and info about Siberian Husky Puppies here! See below for full list of characteristics! Siberian Huskies have captured the imagination of the masses, as well as artists, writers, and film producers, with their eye-catching looks and awe-inspiring talents. This medium-size working dog possesses power and athleticism. First developed as sled dogs — some are still used in this capacity — Huskies are remarkable dogs — and their ability to learn is staggering. Many have fallen in love with the wild nature and pride of Huskies, but are unaware just what this breed is truly like. This is not a breed for everyone. Their beauty often drives people to purchase them, unaware of their difficult traits, which makes many Siberian Huskies prime candidates for shelters. The increasing popularity of the breed has led to puppy mills and backyard breeders who do not properly breed for temperament. This is having an adverse effect on the breed at large and many of the negative traits are becoming common in these ill-bred dogs, including some traits that are not normal for Siberian Huskies. If you look at all the positive points of their temperaments, you are left without any doubt that this is an amazing breed. They are intelligent and independent. They are affectionate with everyone but do not need to constantly pester you for attention. They are not known to be aggressive and generally do well in multi-dog homes. They do well with children and will welcome everyone into their home — yes, even intruders. However, they often use that remarkable mind to learn less savory things and are not overly eager to please their people. They are extremely difficult to train, so first-time dog owners or timid people should consider other breeds. Huskies fit best with confident, experienced dog owners who set rules and deliver consistency. Like all breeds, Huskies need obedience training, but they seem to have an uncanny ability to distinguish the difference between home and class — behaving beautifully in class while disregarding commands when at home. The biggest caution about Siberian Huskies is their reputation for being escape artists. They will wander away from home whenever they get the chance. Sadly, far too many have become lost or injured as a result. It's vital for Siberian Husky owners to constantly check their yards for any means of escape and to surround their yard with a fence sunk into the ground. Although they have many qualities that can make them difficult, Siberian Huskies are still a wonderful breed. Fans of this spirited breed embrace their wonderful natures. When properly trained and cared for, Huskies make wonderful family companions. Depending on your climate, Siberian Huskies are generally low shedders except during the times of year when they blow their coat, meaning they drop large amounts of hair all at once. This happens roughly twice a year, more if you live in warmer climates, and when it does, the breed becomes a heavy shedder for about a three-week stretch. Siberian Huskies are not recommended for apartment living, but some do quite well in apartments if they are properly trained and exercised. Siberian Huskies are known escape artists and have been known to wander away and disappear. They can jump fences, break tie-out chains, slip collars and find any other way to escape. They need a high fenced yard and the fence should also be buried several inches below ground to prevent the Husky from digging his way out. Siberian Huskies can be very destructive both inside and out. If they are left uncrated inside, the breed can destroy a house and cause a wide variety of damage. Outside, they enjoy digging and will dig up yards and flower gardens alike. A dog that is given a place to dig in the yard is much happier and so are you. While they enjoy howling, Siberian Huskies rarely bark and they will not alert bark if someone comes onto your property. This makes them an unsuitable watchdog. The rap on Huskies is that they would aid a burglar before posing any threat. Siberian Huskies are not a breed for the new or timid owner. They need a strong owner who will maintain an alpha position in the home. They need obedience training from a young age and can be a difficult and stubborn breed to train. Affectionate and good natured describes the Siberian Husky. Generally, they do well with children although young children should never be left alone with any breed. They also get along with people and do well in homes with multiple dogs. Siberian Huskies were bred to need very little food to survive. This still applies today and the Siberian Husky does not need a high level of calories per day. It is important to ask your Siberian Husky's breeder what they recommended for a serving helping and to follow their advice. Huskies cannot be allowed to run off leash during walks. They will run away and will also chase other small animals. Due to their beauty, Siberian Huskies are one of the most wrongly purchased breeds around. Many do not take into consideration their temperaments and particular quirks and are often left with an unruly, albeit beautiful, dog. Many Siberian Huskies are either lost, killed, or given to shelters due to uninformed owners. If you are thinking of purchasing a Siberian Husky, take a lot of time learning about the breed. Visit some Siberian Husky breeders or shelter dogs, read books, talk to other owners and possibly foster if you feel you can. If after all your experiences, you feel you still want a Siberian Husky, take the time to decide on whether you should adopt a rescue or a puppy. Follow your breeder's advice and remember that this beautiful dog will make your life an adventure and not always a good one. The Siberian Husky is believed to have originated among the Chukchi, a tribe of Siberian nomads. The breed's history is relatively unknown but DNA tests confirm that they are among the oldest of dog breeds. We do know that the Chukchi used the dogs as fast transportation and that they interacted with the Chukchi as a family dog. Huskies often slept with the children and provided warm comfortable beds for them. The Siberian Husky was imported to Alaska in 1908 and was used as sled dogs during the gold rush. They were used in the All-Alaska Sweepstakes, which is a 408-mile dogsled race, and continue to be an active competitor in the Sweepstakes even today. Records indicated that the last Siberian Husky was exported from Siberia in 1930 when the borders were closed by the Soviet government. The breed continued to thrive in North America. Although they changed slightly from their Siberian foundation dogs, the Chukchi Sled Dog, they still maintain many of the wonderful qualities of that breed. The Siberian Club of America was founded in 1938 and the Siberian Husky was recognized by the American Kennel Club in 1930 and the Canadian Kennel Club in 1939. 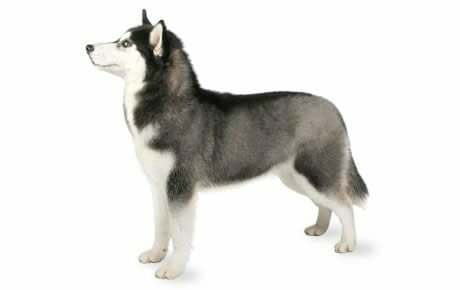 Siberian Huskies are pack dogs, and they need an owner who is the clear leader of the pack. This makes training easier because you will find that your dog respects you, but don't be surprised if he tests the limits of your position in the pack and tries to take control from time to time. When this happens, it's important not to give into their pushiness. Assert yourself as leader — not by bullying or hitting — but by confirming the ground rules with clarity and consistency. Making your dog wait to eat is one of the best ways to establish your leadership role. The Husky will view you as the keeper of all valuable resources — food, treats, toys and other canine assets. 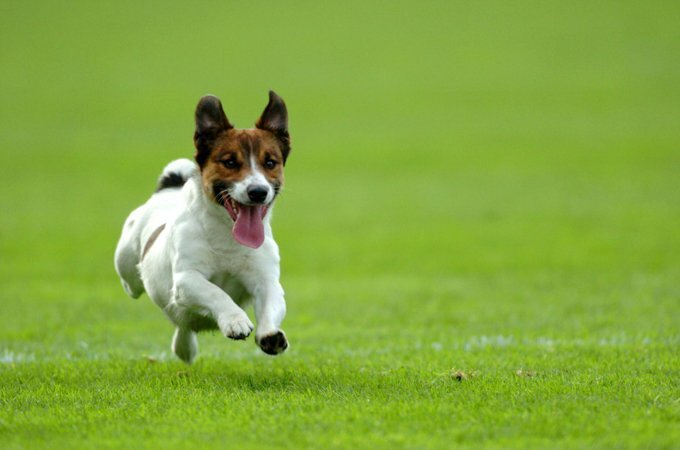 This high-energy breed can be destructive both indoors and out — especially when bored or not given adequate exercise. They will demolish a house if they are left alone and there has even been a case of a Siberian Husky chewing through a cement wall. They will dig up flower gardens and yards alike, but they can be trained to dig in a specific spot in the yard. It is better for everyone if you merely teach your dog to dig in one spot instead of trying to break him of that habit. Nonetheless, they can be quite charming with their mischievous and playful nature. They are also quite social and love to show off their talents. Siberian Huskies do not bark — that's the good news. Here's the bad: they do enjoy howling, which can be very frustrating for your neighbors. Unless you have a properly trained and well-exercised Siberian Husky, they do not make ideal pets for apartments. Another caution: although Huskies are adored for being friendly and gentle, they make lousy watchdogs. Unfortunately, they are not overly suspicious of strangers, including burglars. The fact is that they tend to love everybody. Temperament doesn't occur in a vacuum. It's affected by a number of factors, including heredity, training, and socialization. Puppies with nice temperaments are curious and playful, willing to approach people and be held by them. Choose the middle-of-the-road puppy, not the one who's beating up his littermates or the one who's hiding in the corner. Always meet at least one of the parents — usually the mother is the one who's available — to ensure that they have nice temperaments that you're comfortable with. Meeting siblings or other relatives of the parents is also helpful for evaluating what a puppy will be like when he grows up. Like every dog, Siberian Huskies need early exposure to many different people, sights, sounds, and experiences when they're young. Socialization helps ensure that your Siberian puppy grows up to be a well-rounded dog. Enrolling him in a puppy kindergarten class is a great start. Inviting visitors over regularly, and taking him to busy parks, stores that allow dogs, and on leisurely strolls to meet neighbors will also help him polish his social skills. Huskies are generally healthy, but like all breeds, they're prone to certain health conditions. Not all Huskies will get any or all of these diseases, but it's important to be aware of them if you're considering this breed. If you're buying a puppy, find a good breeder who will show you health clearances for both your puppy's parents. Health clearances prove that a dog has been tested for and cleared of a particular condition. In Huskies, you should expect to see health clearances from the Orthopedic Foundation for Animals (OFA) for hip dysplasia (with a score of fair or better), elbow dysplasia, hypothyroidism, and von Willebrand's disease; from Auburn University for thrombopathia; and from the Canine Eye Registry Foundation (CERF) certifying that eyes are normal. You can confirm health clearances by checking the OFA web site (offa.org). Corneal Dystrophy: This condition affects the cornea or outer transparent portion of the eyeball. It is an opacity that is caused by a collection of lipids in the cornea. It is usually seen in young adults and it generally affects more females. There is no therapy for this condition, but it does not seem to affect the vision. Siberian Huskies need to be exercised 30 to 60 minutes daily to keep them from becoming bored. They make excellent jogging companions, but should not be exercised in hot weather. Surprisingly, they need only a small (but secure) backyard to expend their energy. Bottom line: Siberian Huskies need to be working to stay happy. Usually just maintaining your own active life through hiking and other outdoor sports will keep you Siberian Husky healthy, happy and out of trouble. As mentioned earlier, training is a must with this breed and you may want to invest in more advanced obedience classes. This can be difficult for many owners and trainers as the breed is very intelligent and will determine the difference between classes and home. They will behave wonderfully at class, following all instructions and commands, but at home they may revert back to the stubborn dog that stole your heart. This can be frustrating, but you will find that patience, time, and a little of your own stubbornness will pay off.Crate training is an important tool that is often recommended by breeders. It keeps you dog and puppy safe and also gives them their own safe haven to retreat to when they are feeling overwhelmed or tired. A crate should never be used as a punishment.Leash training is also a must as Siberian Huskies should never be left off leash when they are not in a fenced area. They love to run and will do so without any thought of how far away you are. You can easily lose your Siberian Husky if he decides to chase something or simply enjoy a heartfelt run. Siberian Huskies do have a high prey drive and that is another reason why they should be leashed during walks. Recommended daily amount: 1.5 to 2 cups of high-quality dry food a day, divided into two meals. When it comes to meal times, Siberian Huskies are known for being "easy keepers" — requiring a relatively small amount of food for their size. This trait may be traced to the origins of the breed, as the Chukchis developed these dogs to pull a light load at a fast pace over great distances in low temperatures on the smallest possible intake of food.Note: How much your adult dog eats depends on his size, age, build, metabolism, and activity level. Dogs are individuals, just like people, and they don't all need the same amount of food. It almost goes without saying that a highly active dog will need more than a couch potato dog. The quality of dog food you buy also makes a difference — the better the dog food, the further it will go toward nourishing your dog and the less of it you'll need to shake into your dog's bowl. For more on feeding your Husky, see our guidelines for buying the right food, feeding your puppy, and feeding your adult dog. Make sure your vacuum cleaner is in top working order and you book time regularly to groom if you adopt a Siberian Husky. His double coat features medium-length hair. The top coat is straight and the undercoat feels soft and dense. Expect lots of hair, lots of shedding — especially during spring and fall when they blow their coats. That said, this is a fairly easy breed to care for. Siberian Huskies living in cooler temperatures tend to shed less than those who live in warmer climates. You can avoid matting — and excess hair on your furniture — if you commit to brushing your dog's coat at least once a week during the year — and daily during shedding season. Siberian Huskies are clean dogs and will take the time to clean themselves — much like a cat will. They don't typically emit "doggy" odor and rarely need baths. Unless, of course, they wiggle in something disgusting in the backyard or find a stinky body of water to jump in. When it is bath time, select a high-quality dog shampoo designed to keep the natural oils in your dog's skin and coat. Huskies come in a variety of colors and markings, from black to pure white with colored markings on the body that include reds and coppers. Their eyes can be brown, blue, or a combination. Their faces sport masks that add to their eye appeal.Brush your Husky's teeth at least two or three times a week to remove tartar buildup and the bacteria that lurk inside it. Daily brushing is even better if you want to prevent gum disease and bad breath.Trim his nails once or twice a month if your dog doesn't wear them down naturally to prevent painful tears and other problems. If you can hear them clicking on the floor, they're too long. Dog toenails have blood vessels in them, and if you cut too far you can cause bleeding — and your dog may not cooperate the next time he sees the nail clippers come out. So, if you're not experienced trimming dog nails, ask a vet or groomer for pointers. His ears should be checked weekly for redness or a bad odor, which can indicate an infection. When you check your dog's ears, wipe them out with a cotton ball dampened with gentle, pH-balanced ear cleaner to help prevent infections. Don't insert anything into the ear canal; just clean the outer ear. Begin accustoming your Husky to being brushed and examined when he's a puppy. Handle his paws frequently — dogs are touchy about their feet — and look inside his mouth. Make grooming a positive experience filled with praise and rewards, and you'll lay the groundwork for easy veterinary exams and other handling when he's an adult. As you groom, check for sores, rashes, or signs of infection such as redness, tenderness, or inflammation on the skin, in the nose, mouth, and eyes, and on the feet. Eyes should be clear, with no redness or discharge. Your careful weekly exam will help you spot potential health problems early. Huskies make great pets for households with children. They can be very tolerant of children, but like all other dogs, should be supervised when around young children. Always teach children how to approach and touch dogs, and always supervise any interactions between dogs and young children to prevent any biting or ear or tail pulling on the part of either party. Teach your child never to approach any dog while he's eating or to try to take the dog's food away. No dog should ever be left unsupervised with a child. Siberian Huskies do get along with other dogs but it is still important to take your puppy to socialization classes. This gets them used to other dogs and also to people, although they are also very affectionate to strangers. Socialization teaches puppies how to behave and greet other dogs and their owners. Keep in mind the history of this breed. The harsh conditions in Siberia created a strong prey drive in this breed because food was often hard to find. As a result, many Huskies today maintain that prey drive toward small animals such as squirrels, rabbits, and cats. Some Huskies, however, thrive in multi-pet households, especially when they are raised with other pets from puppyhood. Siberian Huskies are often purchased without any clear understanding of what goes into owning one. There are many Huskies in need of adoption and or fostering. There are a number of rescues that we have not listed. If you don't see a rescue listed for your area, contact the national breed club or a local breed club and they can point you toward a Husky rescue.